The Indian Herald: Online English Newspaper: Terrorist Aseemanand's bail would not be challenged: BJP government soft on Saffron terrorists? Terrorist Aseemanand's bail would not be challenged: BJP government soft on Saffron terrorists? The National Investigation Agency is not going to challenge the bail plea of Hindu terror mastermind Naba Kumar Sarkar alias Aseemanand. 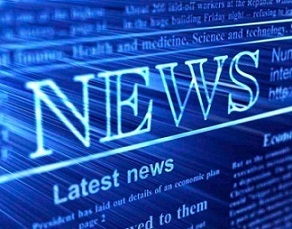 The home ministry informed the Parliament that there was no plan to oppose the bail. The decision has been made at the highest-level and it has angered Opposition as well as activists who see it as government's softness on right-wing terrorists. Already, there are allegations that the agencies are under pressure to go soft on Saffron terrorists. Special public prosecutor Rohini Salian had openly said that NIA officials asked her to go slow in cases against right-wing extremists in Malegaon blast proceedings. 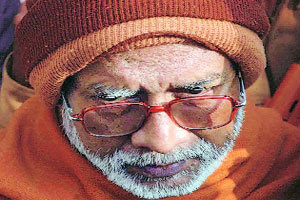 Aseemanand is alleged mastermind of the deadly Samjahuta Express bombings. He had also been involved in plotting the Mecca Masjid, Hyderabad and Ajmer Dargah terrorist attacks, with the assistance of other right-wing radicals. Now, this decision has the potential to force opposition against the ruling BJP. Several BJP and RSS leaders are also suspected of links with the Hindu terror groups that were led by Sadhvi Pragya Thakur, Aseemanand, Dayanand Pandey, Colonel Srikant Purohit, Sunil Joshi and other leaders of the right-wing radicals who wanted to avenge Muslim terrorists' attacks in India.